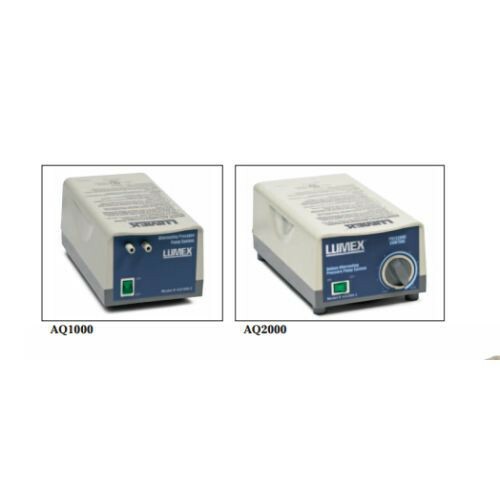 Lumex Alternating Pressure System is ideal for homecare or in a long-term care setting. The system is comprised of a bubble-style pad and a variable pressure pump. The cycles of pressure are for the treatment, prevention and management of pressure ulcers. The pump regulates pressure cycles every five minutes to take stress and weight off regions of the body susceptible to pressure ulcers and keeps blood flowing to improve circulation. The pad supports a weight capacity of 275 pounds. 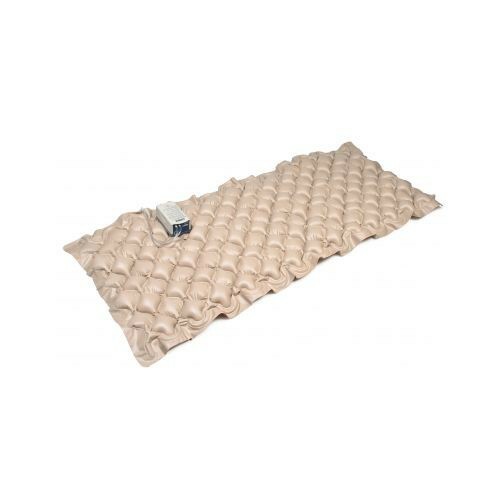 It's made of a heavy gauge, latex-free vinyl that's easy to clean and has antibacterial and flame retardant properties. Choose from two Graham Field models, the standard AQ1000 pump and deluxe AQ2000 pump. The system is easy to use. First the pump needs to be secured to the bed with the provided built-in mounting bracket. The clear pvc tubing hooks from the pump to the pad. Simply press the green button that will illuminate for powered mode. This system is small and transportable. When needing a larger surface area and higher weight capacity, the Med-Air Alternating Pressure Mattress System is another great option. Inflated Pad Dimensions: 78 X 34 X 2.5"
Pump Unit Size: 9.75" x 5.12" x 3.88"
Pump Size: 8.5" x 4.25" x 3.62"
8 1/2" x 4 1/4"
9 3/4" x 5 1/8"
needsstrapson conners to keep from slidingoff bed. Doese the pump have to be left on all the time? Received promptly, in good shape. Easy to set up. Works well, better than another pump by a different maker. I tried everything to sleep well at night. Sleeping pills, different kinds of pillows, aroma therapy and everything. It worked the best for me. Even better than medical measures like pills. It helps me to sleep in a good posture and that's what makes me sleep so well. I feel less tired and more energetic. The most useful 'tool' in this hospital is this standard pump and bubble style pad. Patients can sleep well because of the comfort it brings. Not only that, we the health attendants, also don't need to worry much for the patients. A win-win situation for us and for the patients!